I have no shame in admitting that Jesse and I are chocolate fiends. We will happily consume anything chocolate-y and delicious (as long as it's gluten free for me) and are always creating new chocolate treats. A few weeks ago, we had friends over who were talking about the best fudge ever which they'd eaten in New Zealand - and I guess all the mental drooling left fudge stuck in our brains because we both decided we needed to make chocolate fudge and we needed to make it now. 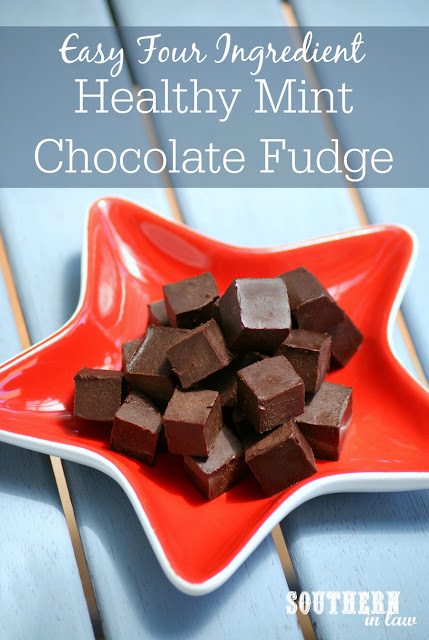 But not just any fudge... mint chocolate fudge. And this fudge wasn't going to be filled with cup after cup of icing sugar or three jars of condensed milk. We decided we were going to make a healthy chocolate fudge recipe that was gluten free, refined sugar free, vegan, dairy free and most importantly; easy to make. Thus this four ingredient fudge recipe was born! It's a little bit different to normal fudge as it needs to be kept in the fridge or freezer, however, it is still melt-in-your-mouth delicious and also makes a perfect gift for friends and family over the holiday period! Since first making the recipe, we've been keeping a jar of little pieces in the fridge ever since and we cannot get enough. If mint isn't your thing, don't worry! 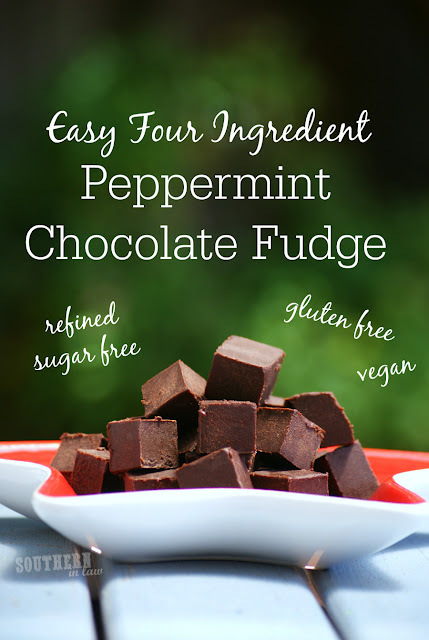 Skip the mint extract and add in another flavour or your favourite mix ins - or enjoy the fudge on its own! Optional: If you don't like peppermint, leave out the peppermint flavouring and enjoy the fudge as is or add in some chopped nuts or dried fruit or whatever mix ins you desire. Line a small loaf tin with baking paper and set aside. Alternatively, you can use chocolate moulds/icecube moulds for fun shapes. Measure out your cocoa powder into a small bowl and set aside. Add your coconut oil and honey/rice syrup to a medium sized heatproof bowl and place a small saucepan with ~1/2 an inch of water inside onto the stove over medium heat. Place your bowl over the top of your saucepan and allow your coconut oil to melt, stirring continually to mix the honey and coconut oil together. Once your coconut oil is melted, remove your bowl from the saucepan, turn off the heat and add the peppermint flavouring to your coconut oil mixture. Carefully stir in your cocoa powder, mixing to incorporate everything. Pour your fudge mixture into your prepared tin and place into the fridge to chill for 2-4 hours or until set. 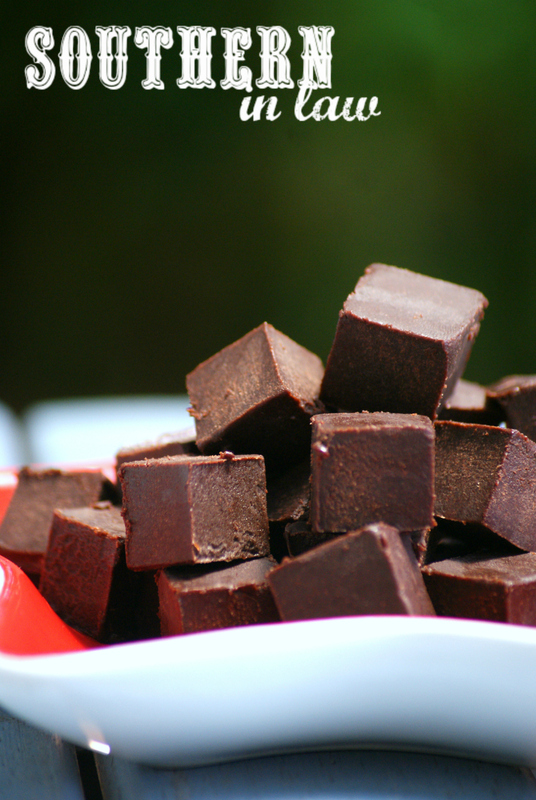 Slice your fudge into squares or remove from your moulds and serve immediately! 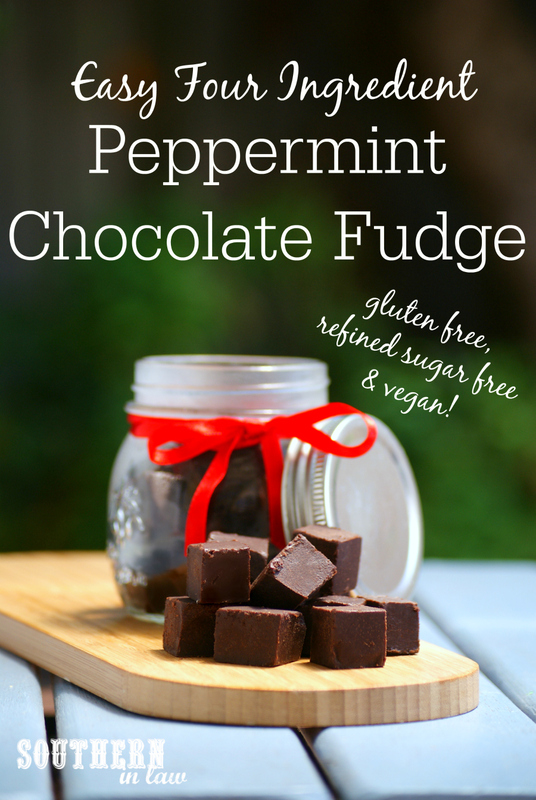 If you're not eating the fudge right away, keep it in the fridge or freezer until you're ready to eat/gift. The fudge will need to be kept cold, otherwise it will melt! *Please please pretty please do not substitute honey or brown rice syrup/rice bran syrup for something else or your fudge simply will not work. We tested the recipe with maple syrup as well, however, didn't end up with the delicious fudge texture that we wanted. One of our taste testing team did have success with a thick agave syrup, however, noted that most of the other agave syrups she tried didn't work. But tell me, what have you been craving lately? And do you prefer homemade or store bought gifts? What's your favourite go-to over the holiday season? Over the holidays, I find myself constantly whipping up batches of Christmas Cookies, Homemade Granola or Chocolate Truffles/Fudge/Rocky Road to share with our friends and family.